2017. Edited by Christine Woodside. A great new collection of essays celebrating the Northeast's wildest places. 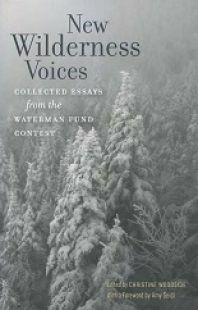 Book features winning entries from the annual Waterman Fund essay contest. Collectively, these essays make up an important and celebratory addition to the growing body of environmental literature--shedding new light on our wild places. Softcover. 194 pp.